Poetry. Asian American Studies. 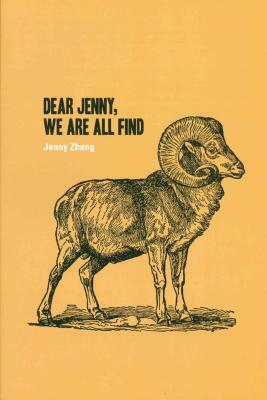 "Jenny Zhang's poems broadcast themselves with a surrealist anxiety. 'Can't I be my own dream?' she asks. The answer is always yes and always no. With dizzying energy and intelligence, Zhang forages through familial, global, and even anatomical configurations vainly outlining an identity that manifests only to shift and move restlessly on. This book brings to mind a 21st century Whitman, only female, Chinese, and profoundly scatological." Elizabeth Robinson.